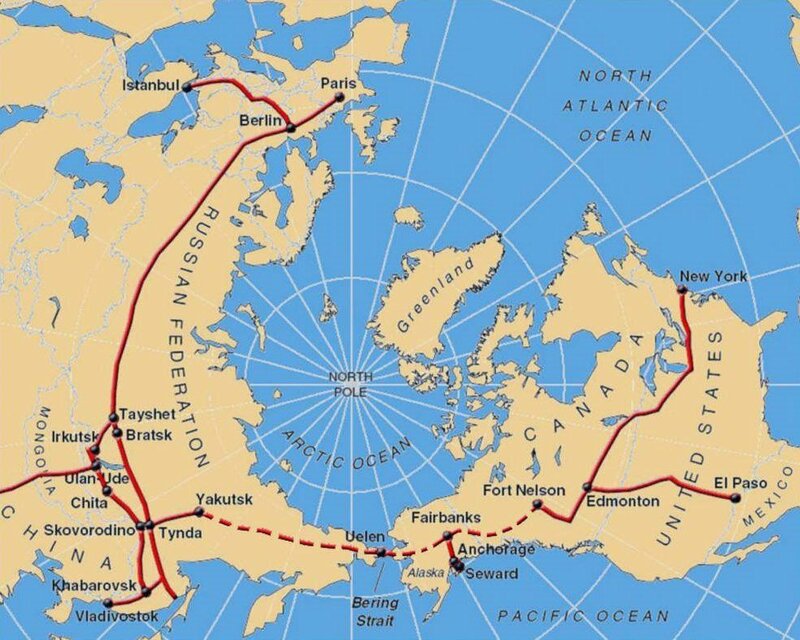 Making use of the very strait that many believe to have allowed for the human migration from Asia to the Americas some 20,000 years ago, various organizations have motioned to unite Russia and the United States via a Bering Strait railroad.The proposed crossing has been dubbed everything from “The Intercontinental Peace Bridge” to the “TKM-World Link” to the “AmerAsian Peace Tunnel”. Recently Russian government officials stated that they would put forth $99 billion to build the tunnel. It would pass underneath the Big Diomede and Little Diomede islands and straddle the international dateline to link East and West. Engineers have said there is no technical reason the tunnel could not be completed and it could provide a cheaper way of shipping freight around the world. The epic project could be completed by 2045.